Its grid-based design is pristinely pared down, directing all eyes to your photography and visual content. Pacific is a bold yet minimal theme that features gigantic imagery and precise typography. Its grid-based design is pristinely pared down, directing all eyes to your photography and visual content. Pacific empowers you to create beautiful photo-driven stories and immersive content. Pacific features responsive layout, clean grid-based design, smart customization option and easy to set up contact page. 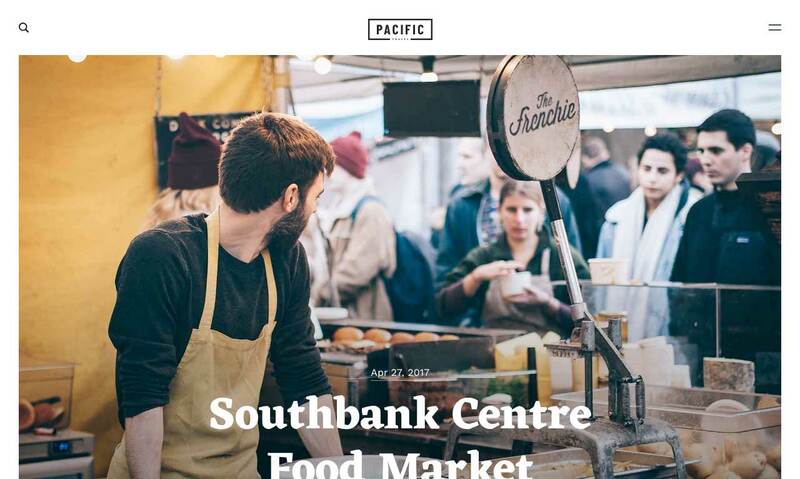 With custom share button built-in, including tweetable blockquote, Pacific helps you Engage with your readers via various social media platforms. It also based on the Layout version 3 and 3rd-generation templating language. This brings the new comment form UI and show-hide gadget capability. Pacific is entirely responsive, means your content will scale to fit any screen size, from desktops to mobile phones. Pacific is based on the v3 framework with show/hide widget capability and new comment form UI. Backgrounds and scripts used to create Pacific are included in a separate folder. Making backup easier.